See a design on the website you like, but not the colors? Want something to pull together all the other elements in your room? Need to protect a beautiful, but vulnerable floor? Choose any mat design on this website, and we can customize to your colors. Custom rug for galley kitchen designed to coordinate with upholstery fabric. 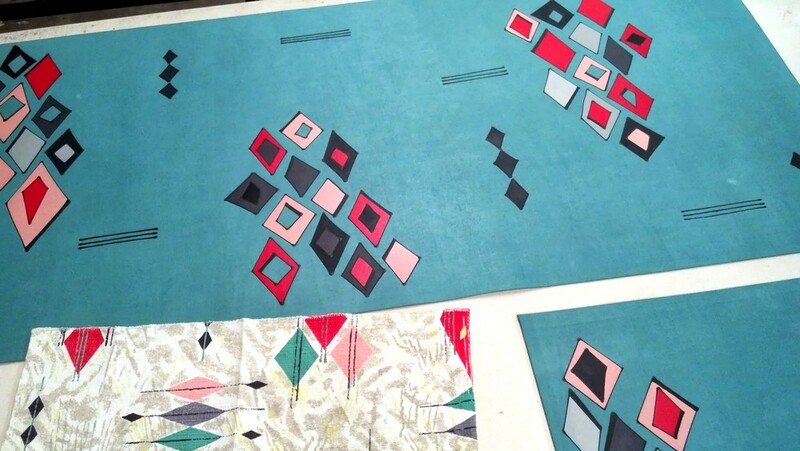 Custom designed companion rugs for a kitchen. Diagram for approval. We can also shape a floorcloth to a unique configuation of your choice. Customizing with an interior designer. Custom design to go with curtain fabric.